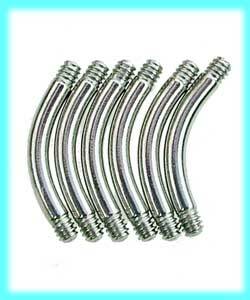 8mm belly bars are not usually available as an option on acrylic belly bars , uv glow belly bars etc. It is very easy to change the bars on our acrylic belly bars, just unscrew the old bar and gently screw on the new 8mm bar, please don't over tighten the balls though, as they are acrylic, which is softer than surgical steel, so you may damage the threads. The best eCommerce software by ShopFactory powers P9529. All-in one eCommerce and shopping cart software.